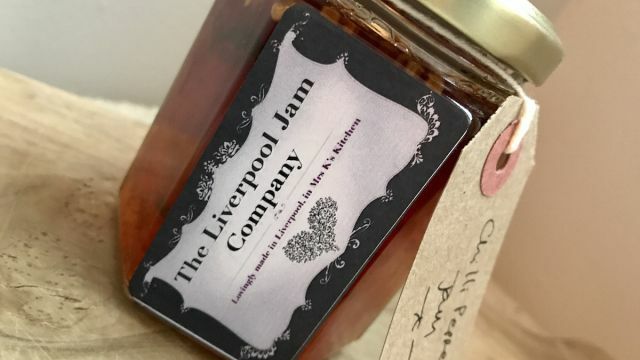 Samantha Keohane from The Liverpool Jam Company makes delicious jams, marmalades, chutneys, relishes and curds in her EHC five star approved kitchen. 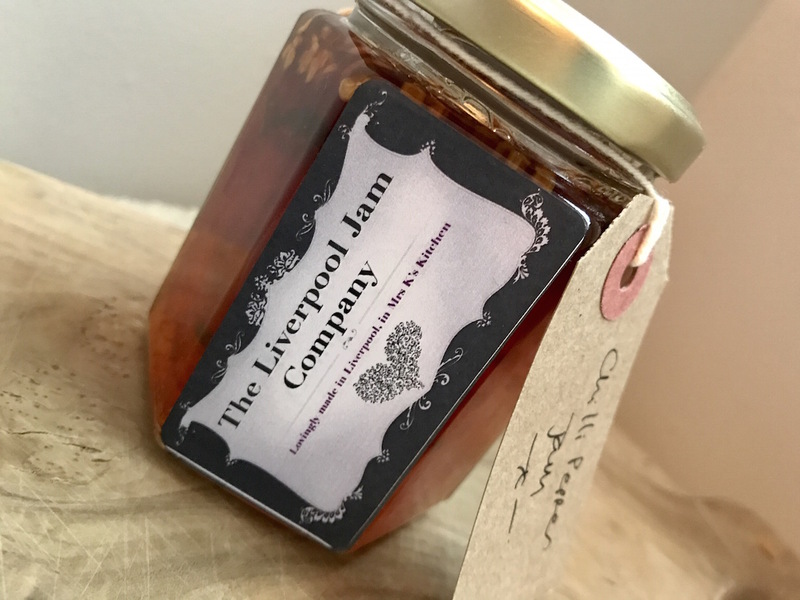 She sources her ingredients as locally as possible, growing and picking many of her own as well as working alongside local farms and producers to source top quality fruit and vegetables. She currently supplies a number of small (and not so small!) 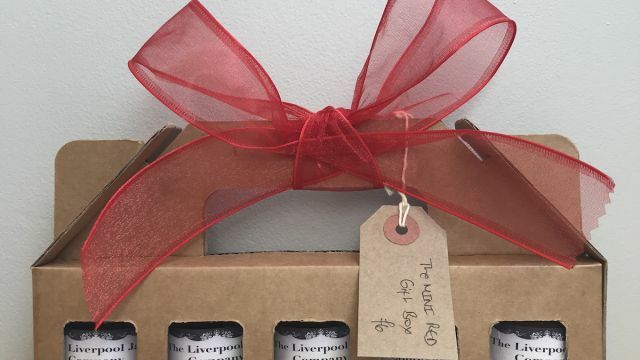 independent businesses in Liverpool and also provides popular gift boxes in two sizes, excellent for treating a friend or family member. Her packaging is simple but sweet, using cardboard carriers tied with bows of all sizes, patterns and colours. 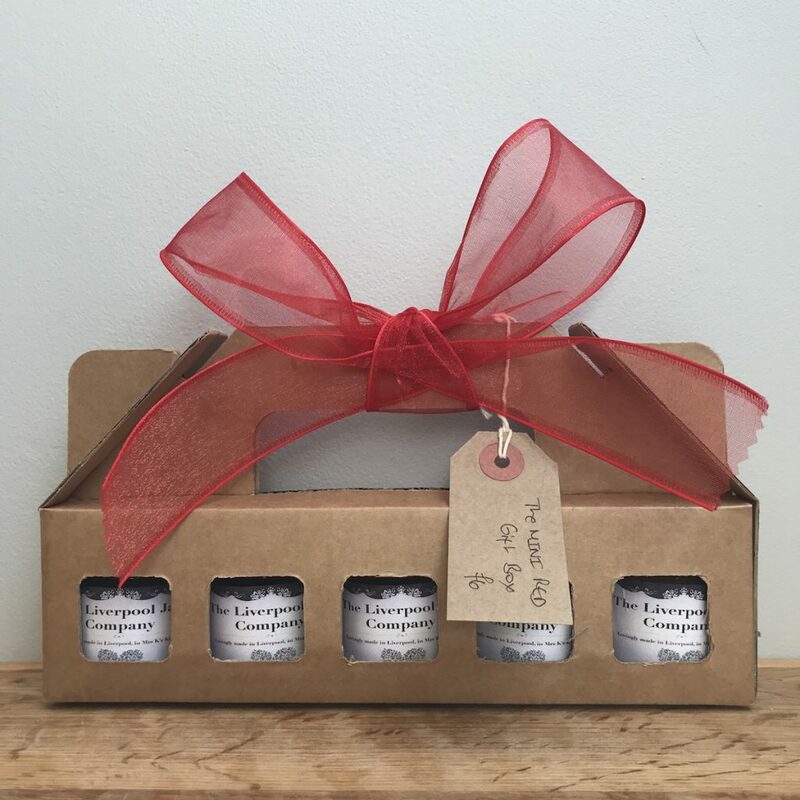 Samantha certainly puts her signature stamp on the world of homemade jam.